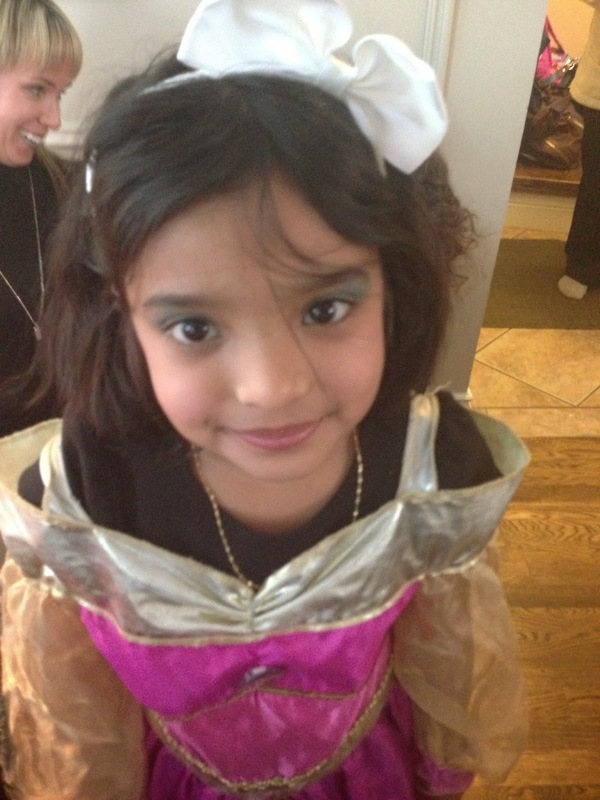 it's my girls' world: Weekend Party Fun! It's getting colder and colder but the fun isn't stopping for the little ones! Here's a look at what we were up to for this past weekend. On Friday, we had Mexican takeout and a family room sisters picnic party ... 'cause we're cool like that! 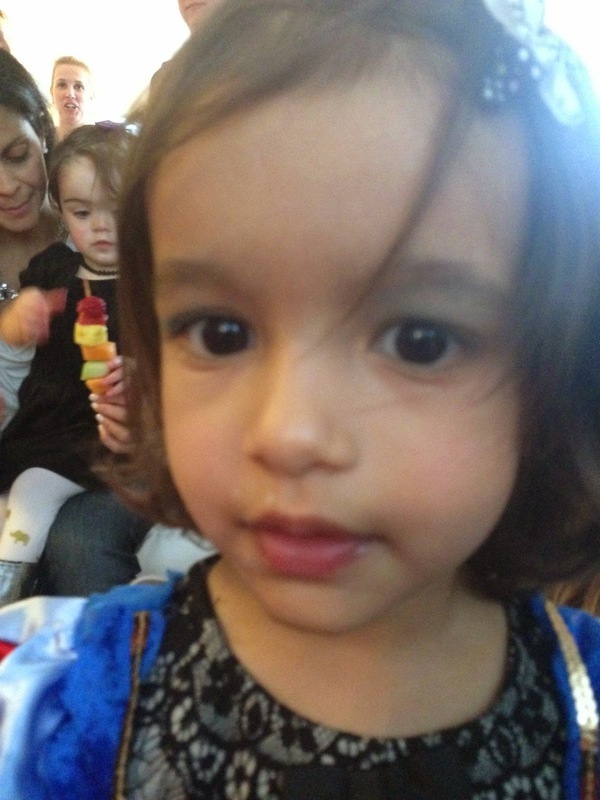 On Saturday, we headed to my friend Jenn's house for her daughter E's party. It was Frozen themed and since we got the invitation, Cass instantly declared that she wanted the exact same party... bear in mind that her birthday is about six months away! Well, the party did not disappoint. 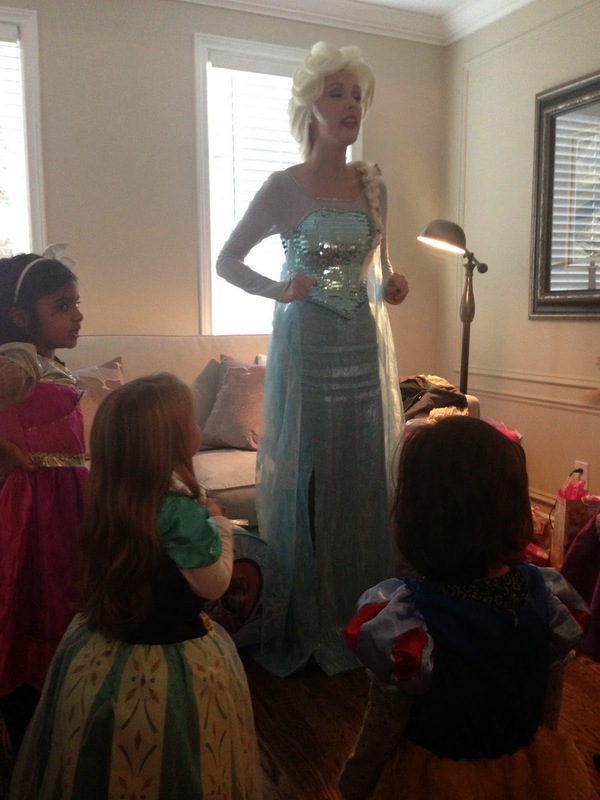 From all the little blue and white details, to Elsa coming in for the princess portion of the party, to dress up, to the dance party afterwards, my kids had the best time... they did not want to leave. We ended up leaving at around eight when we were supposed to leave at five! This was due largely in part to the fact that C loves to be the last one at every party we go to-- she has an extreme case of FOMO! My friend Jenn did all of this crafting herself.... I might beg, steal, borrow all of these ideas for future parties! The princesses all lined up! And there was make-up-- a very special treat! Look at A in the back staring longingly at the makeup. And nail polish--- an even more special treat! 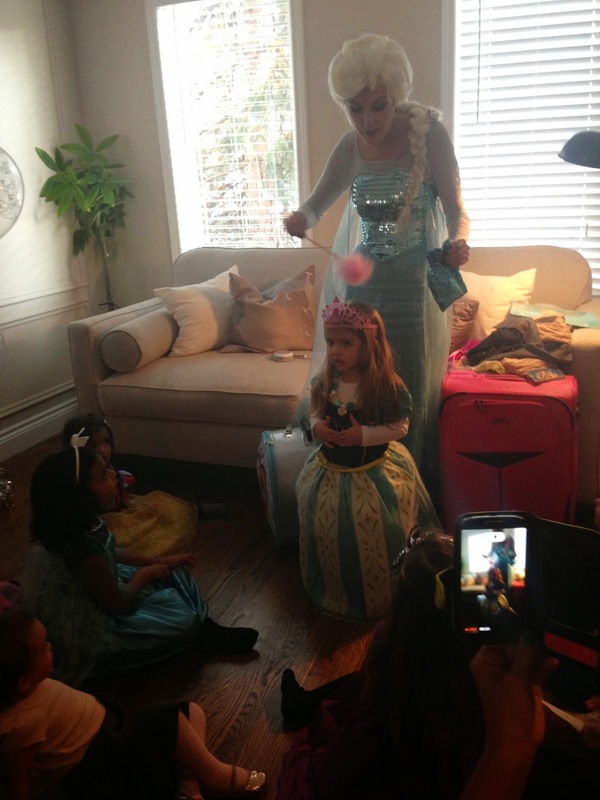 E being crowned a princess. C taking notes on what her birthday will be like. 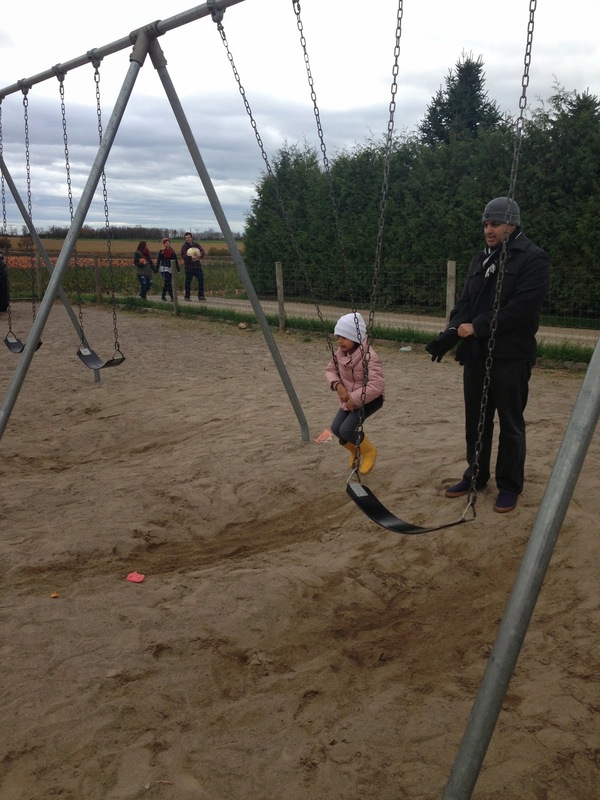 On Sunday, we headed to our friends' Shaun and Amra's house to visit a pumpkin patch in their area. It was brisk outside but not too bad for us as we dressed quite warmly. However, the patch had really been picked over--- hehe! 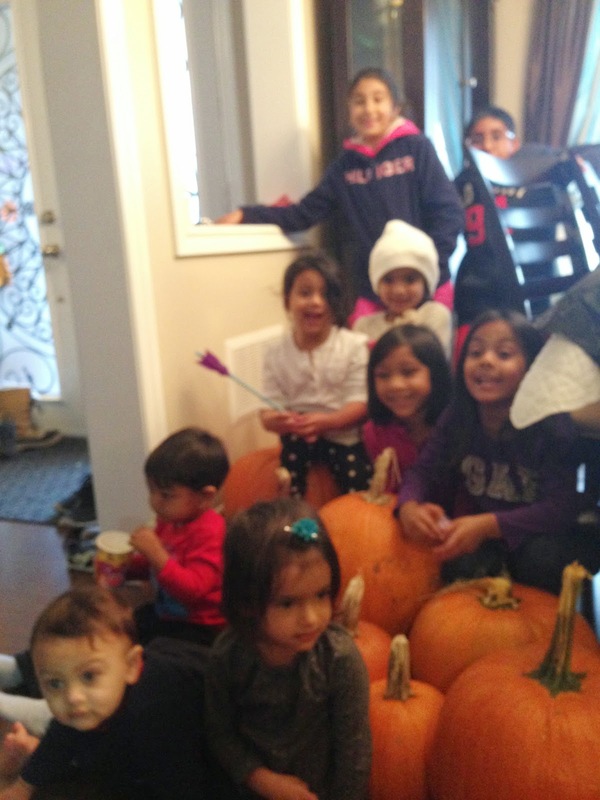 We had to really search for some good pumpkins but we found some and the kids loved the experience! All lined up on the tractor! When we were paying for the pumpkins, I saw these brussel sprouts. I had never seen them on the stalk in person before. So beautiful! A thawing out in the market. Such a wonderful weekend and so thankful for all our sweet friends and special outings! What a wonderful way to spend the weekend, what is more enjoyable than a Saturday with Elsa and Anna, pumpkin picking looks like fun, the kids looks adorable in their warm clothing. Ps, the dessert table looks sinfully delicious. I bet the girls were over the moon with excitement! Great weekend! WOnderful pics! What a FUN birthday party!! I would have loved that when I was little! :)Thanks for linking up! What a fun weekend!! That birthday is so cute. What a great birthday party! So much attention to detail plus a real live singing Elsa...Good luck replicating that one ;) The highlight of the weekend for me would've been the Mexican takeout picnic, that's right up my alley! 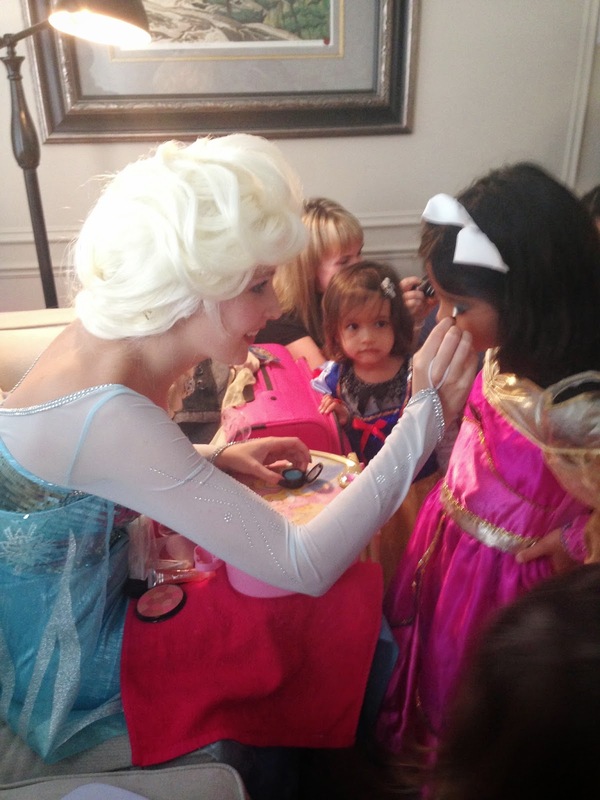 I am obsessed with that Frozen party--it's SO cute! Your girls are adorable! 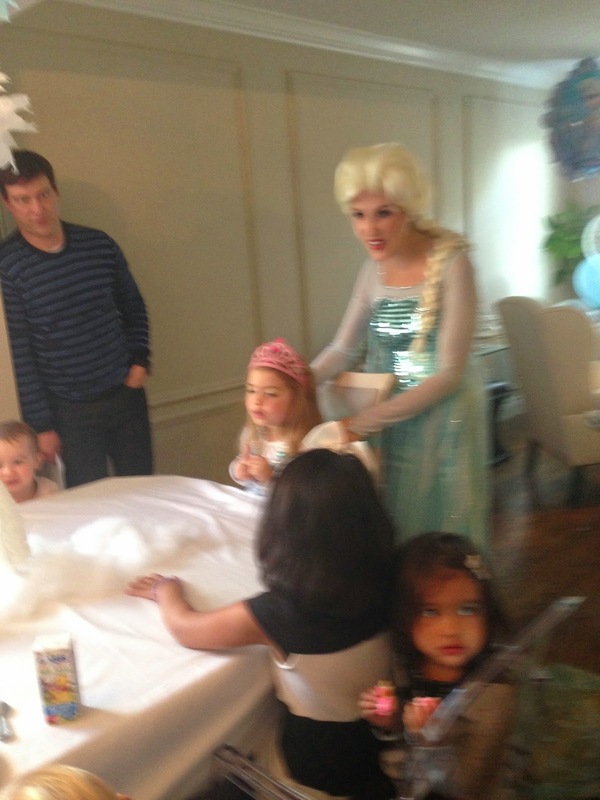 That Frozen party belongs on Pinterest- wow! I still need to get my pumpkins this year. I think pumpkin fall photos are the best. A great post showing the fun times you had all weekend! Last minute pumpkin idea and Week 42! Throwback Thursday- Baby Shower Time!